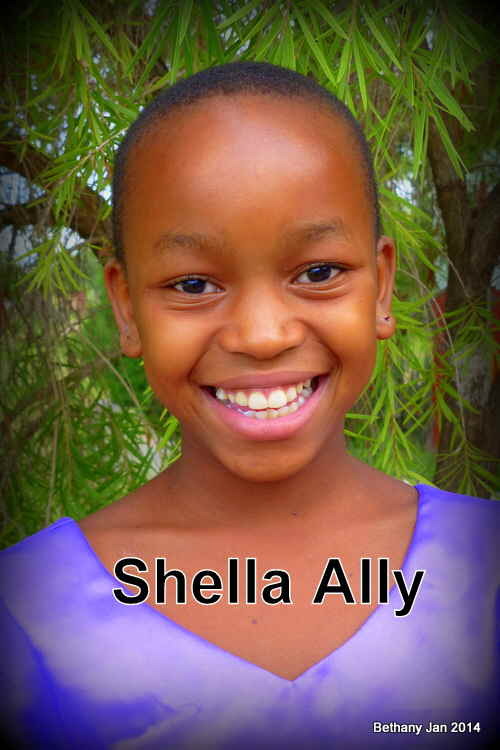 Shella was abandoned by her mother in 2006 and taken to her grandmother. Her mother was made pregnant by an irresponsible father who then disappeared. On 30.12.2008 her mother’s dead body was taken to her grandmother! No one knew how her mother died because Shella did not have a chance to live with her when she was a bit older. She has a cousin called Judith who is also at Bethany. Life wasn’t easy living with their grandmother because she couldn’t afford their basic needs. They had to stop going to school and start selling charcoal to get some money to feed the family. Later her grandmother spoke to the village leader to ask if there was anywhere she could take her grandchildren at least for them to get some education because she could not see their future. Fortunately enough, there used to be an orphanage within their village but this was closed to because of insufficient services for the children. The person who was in charge lived in the same village with Judith and Shella. That man advised the grandmother to consult the social welfare officer in Magu for assistance. On the 3rd January 2014 they contacted us and brought all the supporting documents to ask if we could accept them into The Bethany family. Shella is settling in ok and she seems very determined. She has a beautiful smile and is very charming.